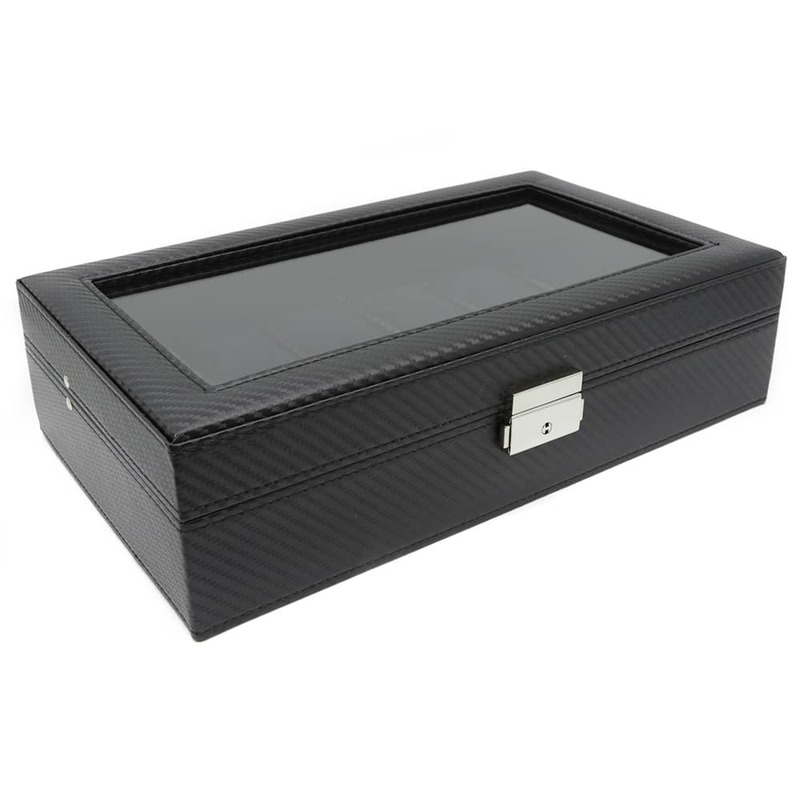 Showcase your collection of watches and keep them protected from dust with this beautiful Black Carbon Fibre 12 Slot Watch Box. 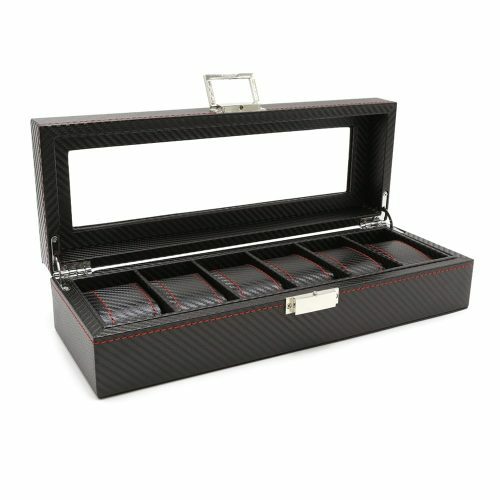 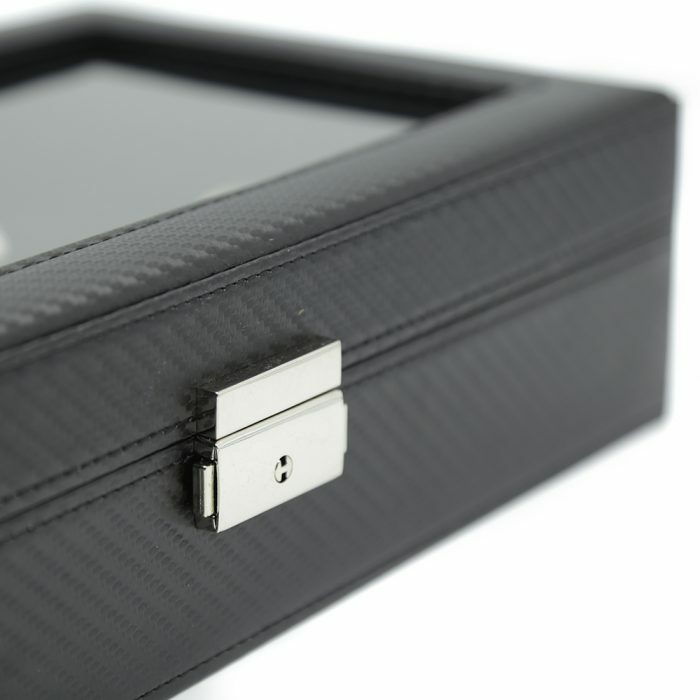 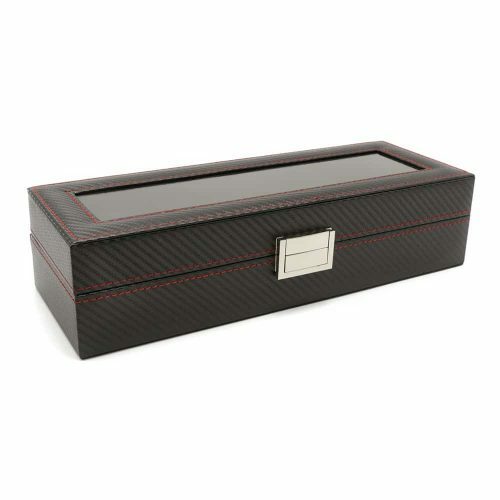 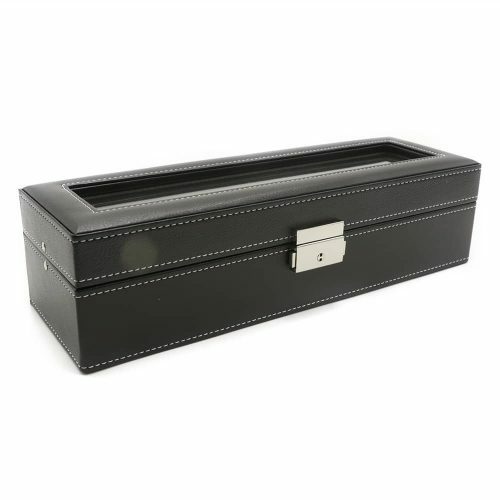 This watch storage box comes in black with a carbon fibre exterior and a black suede interior. 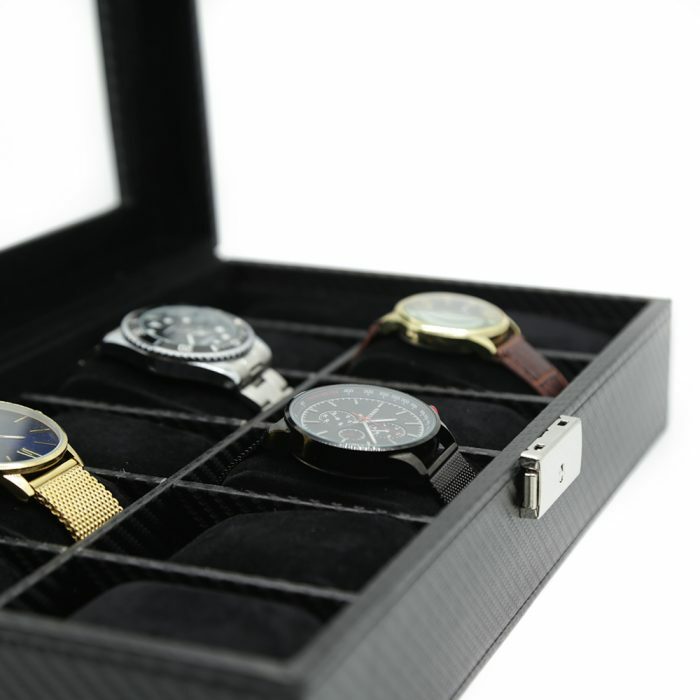 The watch slots are spacious enough to accommodate even watches with large faces. 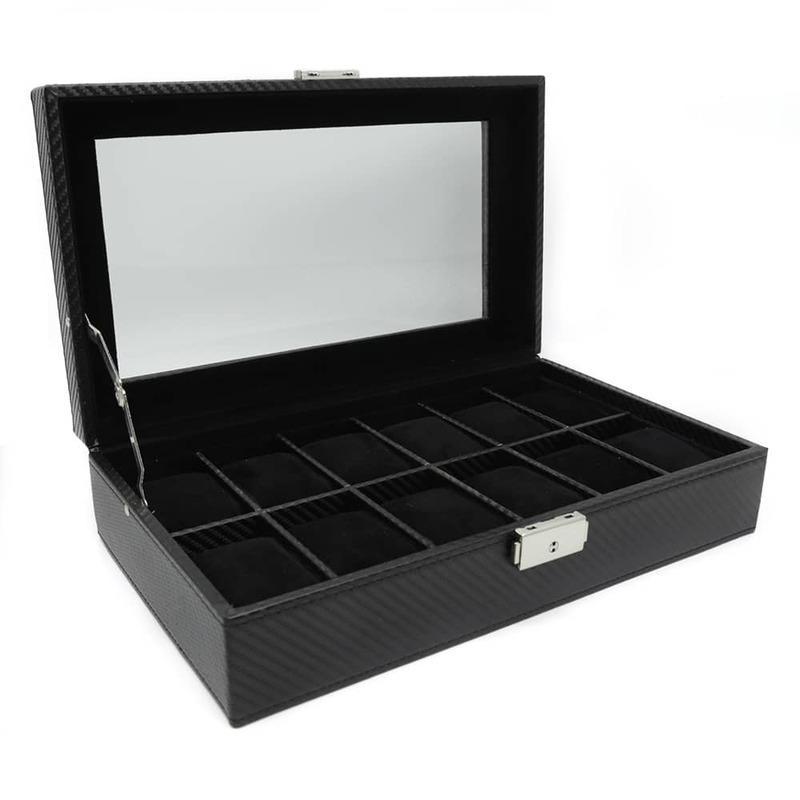 It has a large transparent lid allowing you view your collection without having the lid open. 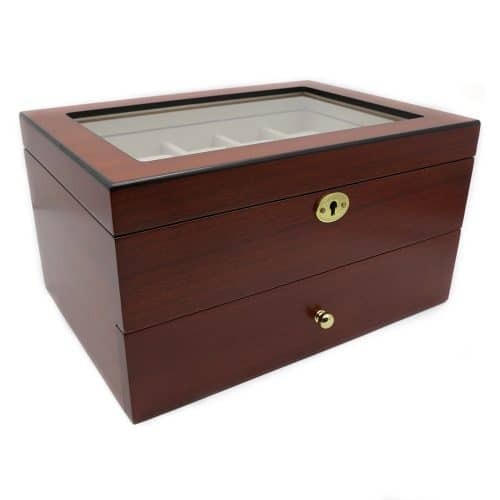 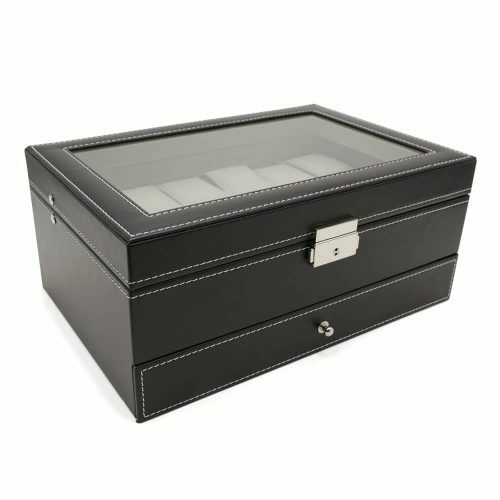 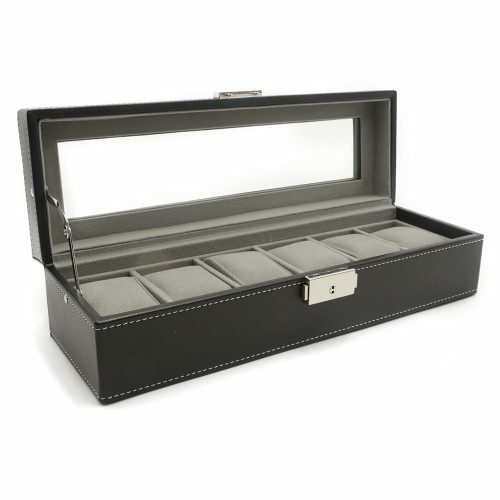 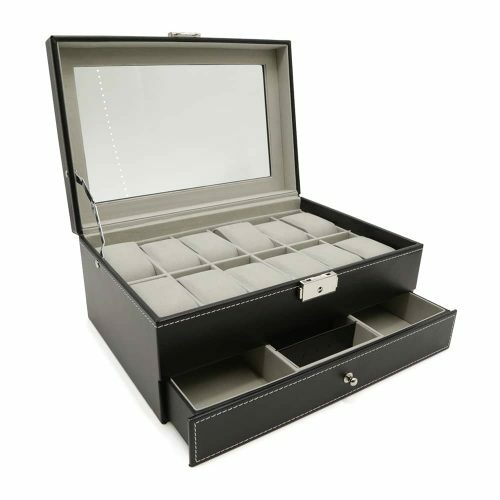 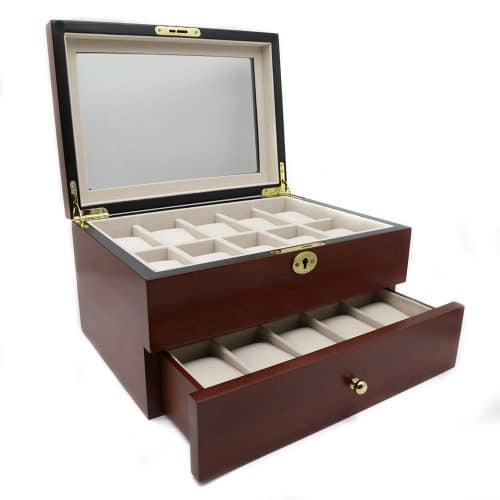 Perfect for storing your watches, this box also comes with a silver lock and key allowing you to display your collection without fear of dust, dirt, or damage.